One of the best parts of the holiday season is, of course, all of the delicious cookies. The smell of baked goods fills your house and makes you remember the holidays of previous years. However, it's hard to make every kind of cookie you like. The ingredients can get expensive and you might not have enough time to do all the baking you'd like to. Instead of going to all the trouble to churn out batch after batch of cookies, get together with your friends and have a cookie swap. The best way to do this is to plan ahead - you don't want everyone showing up with the same cookies. Have each person in the group bring one or two different types of cookies, then everyone takes a few of each and brings them home to their families. If you want, you can make it a bit of a competition - who can make the most decorative cookies? Whose taste the best? But keep things in the spirit of the season. When you're having your swap, it's a good idea to sample the wares, as they say. And if you're eating cookies and having great conversations with your friends, there's no better addition than a nice hot beverage. Here are a few drinks you can pair with your holiday treats. 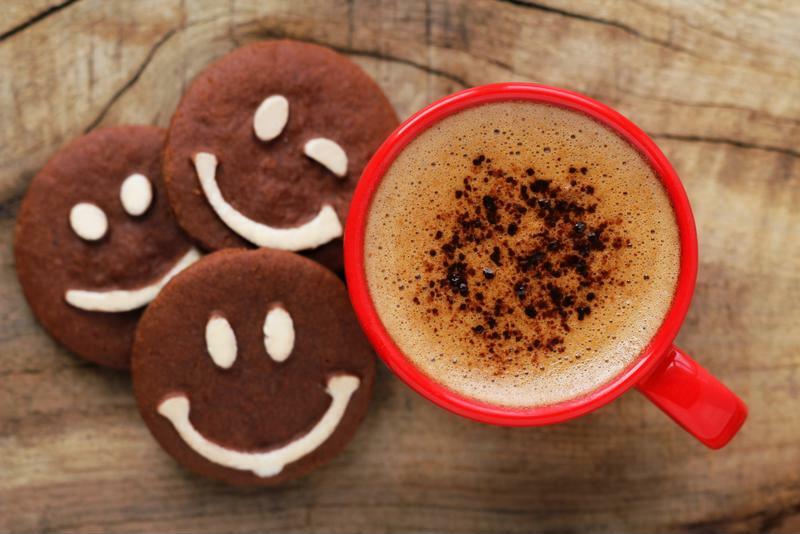 Even cookies are happy to be paired with coffee. Black tea usually has a strong, bold flavor. Unless it's taken with milk and sugar, it can have a kind of leafy taste, though many people around the world enjoy it. If you're having some black tea with your cookies, consider pairing it with some dark chocolate treats. The bitter flavor of the cookie with compliment the rich flavor of the tea. On the other hand, you can go with a light, crunchy biscuit, which contrasts the tea and yet makes for a very good combination. For the best brew, use the Mr. Coffee® Hot Tea Maker, which has a special setting that gets the water temperature to a perfect 205 degrees, the optimal temperature for brewing black tea. Coffee and cookies are a perfect match. Gingerbread tastes wonderful with a nice hot cup of fresh coffee, as do light sugar cookies and peanut butter crisps. The best part of these pairings is that you can dunk the cookies in the coffee for a sweet bite. If you want to be a little more bold, use flavored syrup to turn your black coffee into a more festive treat. If any of your cookie swap partners doesn't like coffee or tea, hot chocolate will be perfect for them. Baked goods flavored with cinnamon or peppermint pair wonderfully with the silky smooth taste of steaming hot chocolate. Like hot chocolate, cider is a great drink for people who want a really festive beverage. Use pressed cider with an added bit of spice in it for something that will go great with cut-out cookies and gingersnaps. Just be careful you don't eat all the cookies before you get a chance to bring them home!